Back at CES, Misfit announced their first full-blown smartwatch, the Misfit Vapor. At the time, they told us its specs and price tag ($199), but they refused to talk about which operating system it ran or whether or not they were working with some sort of custom wearable OS. Why? They were apparently concerned that people (read: iPhone owners) would steer clear of it if they knew it ran Android Wear. Well, here we are this morning with Baselworld in full swing and Misfit has officially announced that the Vapor runs Android Wear 2.0. With that out of the way, let’s recap the device! 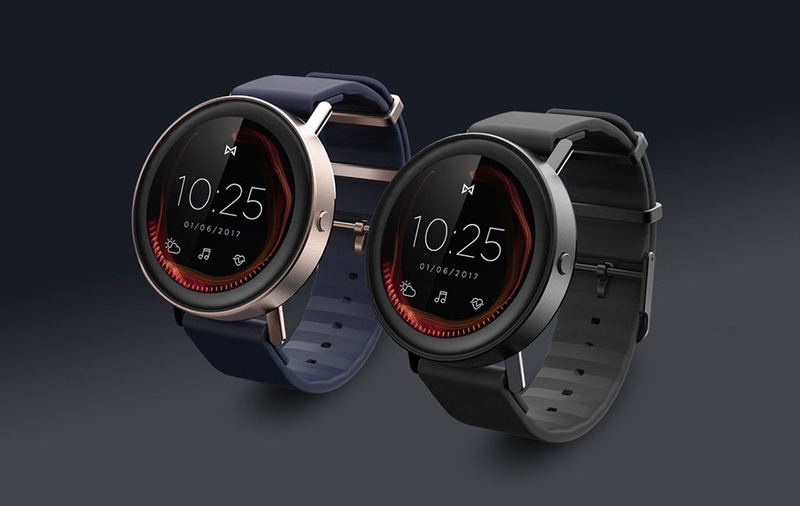 The Misfit Vapor sports a 44mm case with touch bezel, 1.39-inch round AMOLED display (326ppi), Snapdragon Wear 2100 processor, 5ATM water resistance, 4GB storage, GPS, heart rate sensor, microphone, fitness tracking, Bluetooth, and WiFi. Since it runs Android Wear 2.0, that means it has access to Google Play apps whether you are on iOS or Android. You’ll find watch faces galore, other fitness apps, etc. Misfit confirms the Vapor will ship in “late summer” for $199 in Jet Black or Rose Gold. Vapor will be powered by Android Wear 2.0 to provide an evolved, world class software experience to Misfit users. Our partnership means hundreds of your favorite apps will be available at launch, opening up a multitude of possibilities for Android and iPhone users alike. You’ll be able to personalize your watch face with glanceable info from your favorite apps, so that you can check your next appointment, stock performance, fitness goals, and more. You can even customize your watch face with app shortcuts and well as thousands of watch face styles to fit your fashion. You’ll of course be able to see your calories, pace, distance, and heart rate for your runs, walks, and bike rides, and all of your stats and info will be compatible with Google Fit. Leave your phone at home and listen to hundreds of songs on the go. Whether you use an Android phone or iPhone, you’ll be able to use apps like Foursquare, Google Fit, Google MapsTM, Google PlayTM Music, Lifesum, Google Messenger, Runkeeper, Runtastic, Strava, Uber, and many more. A Qualcomm® Snapdragon Wear™ 2100 processor and 4GB of memory as well as Bluetooth and Wi-Fi connectivity. Priced at $199 Misfit Vapor will work with any phone running Android 4.3 or iOS 9 or higher and will ship in late summer. Android, Android Wear, Google, Google Maps, Google Play and other marks are trademarks of Google Inc.